This was what went through our minds with almost every page turn. 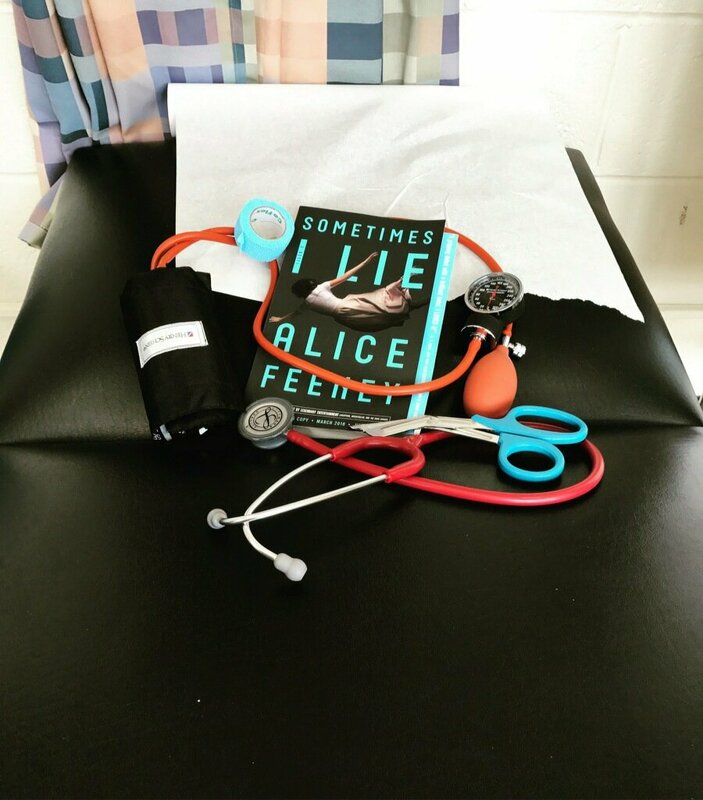 Sometimes I Lie is Alice Feeney’s first book and it is an “out of the park, over the fence, across the parking lot, smashed to smithereens” home run! If you looked up “psychological thriller” in the literature genre dictionary, the picture of this cover will most certainly be there! Sometimes I Lie has an addictive quality! The anticipation of what can or might happen kept us on the edge of our seats. Then when you least expect it or think you’ve figured it out… WRONG! BAM… a huge twist happens and you are shocked, thus leaving your eyebrows raised and mouth hanging open. As the story progresses you’ll only find that you haven’t even scratched the surface of the crazy, chaotic plot twists that seem to be hurled at you at just the right moments! By the time you turn to the last page, the only thing that is regretful is that it’s over! It honestly leaves you a little breathless. And with everything that happens, Alice Feeney somehow still leaves you wondering if the book you’ve received had some pages missing! At least you hope it does! (Not because it’s lacking in any way but only because your sad it’s over)!!!! Result… 5 ⭐️⭐️⭐️⭐️⭐️ and a TOTAL book hangover! If you love psychological thrillers you have to have this book!! She has lived in London and Sydney and has now settled in the Surrey countryside, where she lives with her husband and dog. Sometimes I Lie is her debut thriller and is being published around the world.